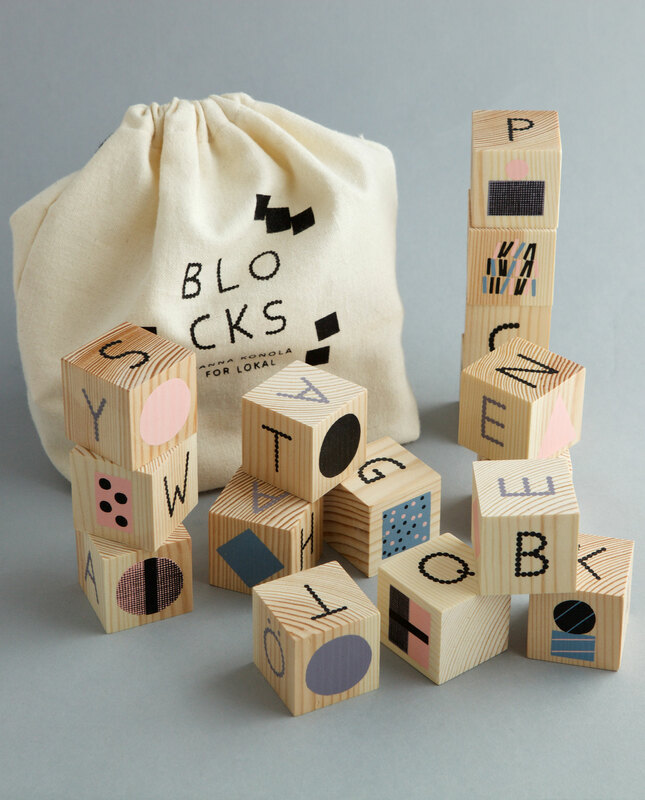 Blocks is designed in collaboration with Hanna Konola and is part of our Lokal Kollektion. The playful and modern graphic designs are combined with the alphabet on a set of 16 wooden blocks. The paint used for the illustrations are child friendly. Suitable for children in all ages.